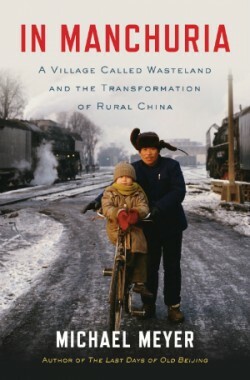 Join writers Michael Meyer and Ian Buruma for a discussion of Meyer’s new book, In Manchuria: A Village Called Wasteland and the Transformation of Rural China. Meyer spent three years in a rice-farming community, hometown to his wife’s family. The book is a combination of memoir, contemporary reportage, and historical research and presents a unique profile of China’s legendary northeast territory. Michael Meyer first went to China in 1995 with the Peace Corps. The winner of a Lowell Thomas Award for travel writing, Meyer has also won a Whiting Writers’ Award for nonfiction and a Guggenheim Fellowship. His stories have appeared in The New York Times, Time,Smithsonian, Slate, Financial Times, Los Angeles Times, and Chicago Tribune. He is the author of The Last Days of Old Beijing, which became a bestseller in China, and he divides his time between Pittsburgh and Singapore. Ian Buruma is a journalist, writer, and academic. He is the Paul W. Williams Professor of Human Rights and Journalism at Bard College. He writes about politics and culture for a variety of major publications, including The New York Review of Books, The New Yorker, The New York Times, Corriere della Sera, Financial Times, and The Guardian. His books includeMurder in Amsterdam: The Death of Theo van Gogh and the Limits of Tolerance, The China Lover, Taming the Gods: Religion and Democracy on Three Continents, and most recently,Year Zero: A History of 1945. Book signing to follow discussion.